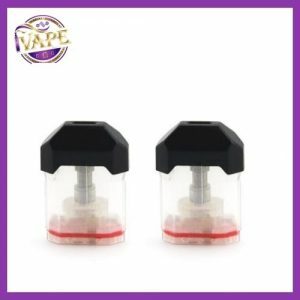 iVape introduce the Limitless Arms Race V2 Box Mod. Arms Race V2 Box Mod is a unique 220 watt variable voltage device. 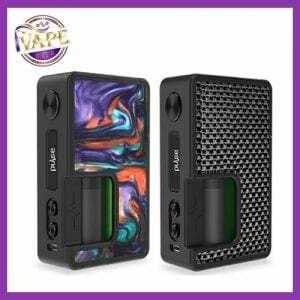 This is a dual 18650 box mod, with a magazine style clip to insert your batteries with improved battery contacts and colour styles. To access the battery magazine, simply push up on the magazine, slide the clip, and pull down. The Arms Race V2 Box Mod has a rugged design that is sturdy, yet affordable. 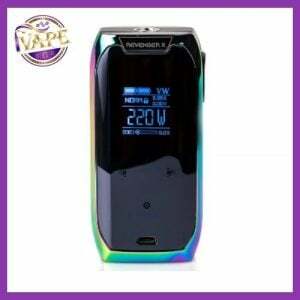 This comes with a new custom chip that can fire down to .1 ohms, that is very user friendly, and simple to navigate. The top of the Limitless Arms Race V2 Box Mod fits most 25mm atomizers, with a built in side airflow access port. 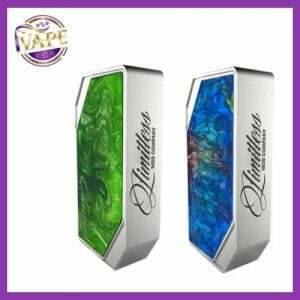 If you are looking for a new box mod, or want to stand out from all the other, pick up the Limitless Box Mod!